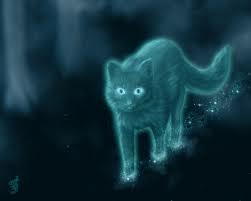 StarClan are the deceased ancestors, descendants and Clanmates of the Clan cats. Cats are only allowed to join StarClan when they die if they have lived an honorable life and followed the warrior code. If a cat doesn't live an honorable life, then that cat will end up in the Dark Forest, also known as the Place-Of-No-Stars. StarClan cats don't have to be in a Clan at the time of their death to be welcomed to StarClan, shown in Bluestars Prophecy, when Pinestar was in StarClan, despite him being a kittypet at the time of his death.